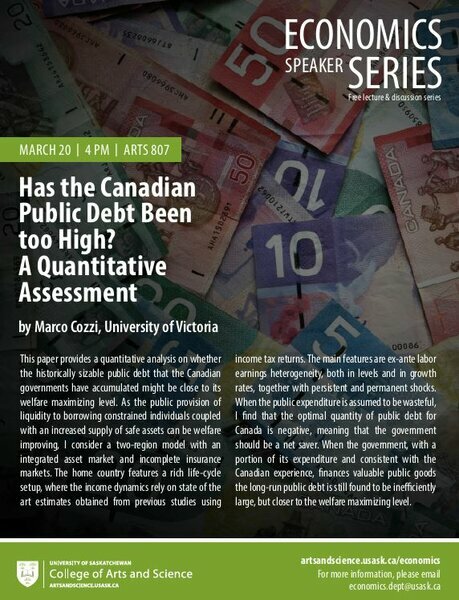 Michel Normandin, HEC Montreal, will present a seminar at 4:00 PM in Arts 807. 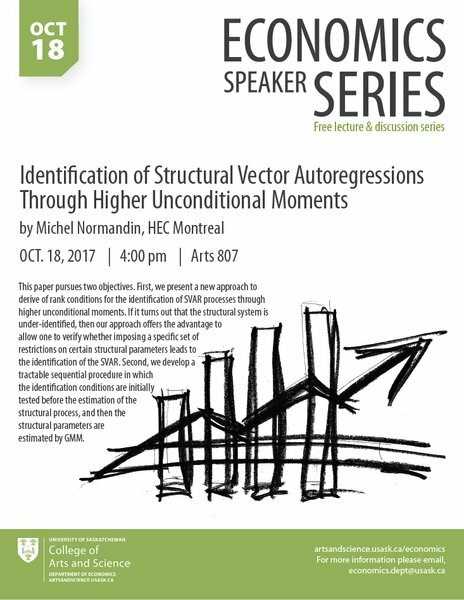 Seminar Title: "Identification of Structural Vector Autoregressions Through Higher Unconditional Moments"
structural process, and then the structural parameters are estimated by GMM. 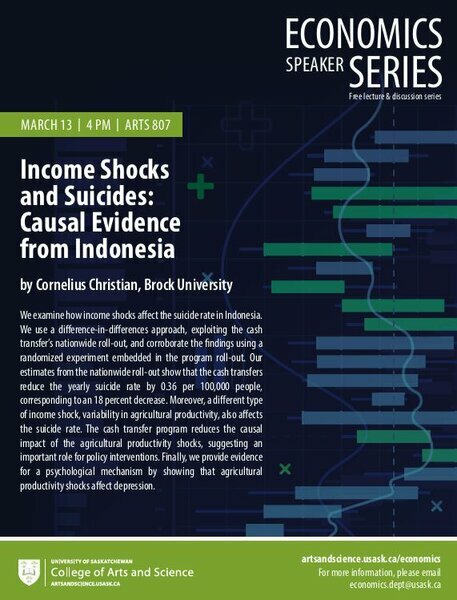 This seminar is part of the Department of Economics Seminar Series. Everyone is welcome.